If you are struggling to make your credit card payments or to pay off other debts, it may be time to start negotiating with creditors in order to avoid bankruptcy proceedings. You need to be prepared though, as they are used to people requesting some sort of concessions in negotiations and very good at avoiding them. Keep in mind that while you’ll only be going through this negotiation once, the person you are negotiating with probably does it for a living. That means that you need to be prepared. The first thing that you can do is make a budget and figure out how much you can actually afford to pay your creditors. Obviously, you have to be able to cover your normal bills, and they should realize that if you are unable to do so it is impossible for you to get out of debt. At the same time, figure out how much you think creditors may be willing to let you out of. A good rule of thumb is to start around 50 percent of the bill, because creditors will rarely let you out of much more than that. Start the process by calling your creditor and making an offer. Make sure that you tell them that you cannot manage to pay off the original amount, but can pay a percentage. Depending on the situation, you may propose a payment plan or a lump sum payment. If your offer is rejected, you’re going to begin putting on your game face and working your way up the chain of command on the other and of the line by asking for a manager. Check out my post 3 Ways to Remove Late Pays to get started. If you are able to come to an agreement, make sure that you get it in writing so that you do not have any legal problems down the line. Ask them to mail you a hard copy of any agreement so that it can be signed and saved. 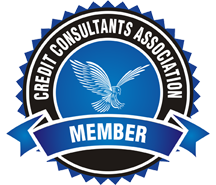 One thing to try to throw into the negotiations is to have your creditor remove any negative comments on your credit report once the debt is settled, which will help to preserve your credit rating. If you get stuck at any point in the process and your creditor is not being receptive, it may be worthwhile to throw the “bankruptcy,” word out there. Creditors know that if you go through bankruptcy, they will get nothing. They should prefer your offer to nothing at all.